Frequent ear infections in children: Signs for parents with concerns about speech and language development. Ear tube surgery – it is one of the most common childhood surgeries. According to the New York Times, nearly seven-hundred thousand children a year in the United States have tiny plastic tubes inserted into their eardrums. Although ear tube surgery may be among the most common surgeries for children, Trachtenberg says the number of such procedures being performed is excessive (“doctors are doing too many,” she says) and that parents should think twice before they “jump the gun” and opt for ear tubes. Doctors say that ear infections are one of the most common childhood ailments, with eighty percent of kids experiencing at least one instance of infection by they time they turn three years of age. Ear infections also account for more than 30 million doctor visits a year, so the potential for excessive use of the ear tube procedure would seem to be possible. What, then, should a conscientious parent do if he or she is considering ear tube surgery for his or her child? First, remember that, if left untreated, otitis media (the common ear infection) can lead to loss of hearing in your child and delays in terms of speech development. Dr. Trachtenberg says it’s more important to focus on the length of a child’s ear infection, in terms of how long the fluid remains in the ear rather than just the number of ear infections that may occur. 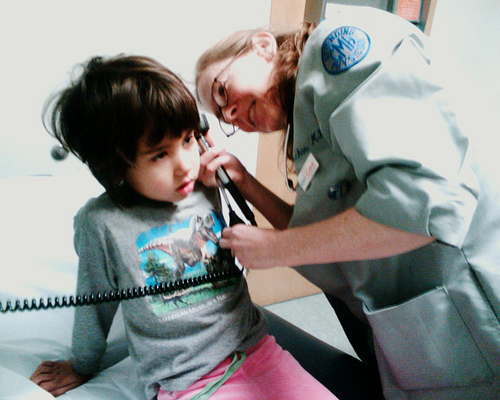 “This is why continuity of care and having a primary pediatrician is so helpful,” she says. According to the American Academy of Otolaryngology (A.A.O. ), parents should not opt for ear tube surgery in otherwise healthy children who have had just one episode of ear fluid lasting less than three months. On its website, the A.A.O. says that infections of “short duration” will probably go away on their own. However, if there is evidence of speech delay, then opting for ear tube surgery could be the right decision for your child. As for how much hearing loss is required before parents should consider themselves to have reached this point, some physicians say that early ear tube surgery can be considered in kids who register a hearing loss of forty or more decibels. 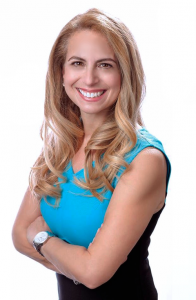 As for signs of what parents should look for, Trachtenberg says that persistent fluid and persistent hearing loss would mean that parents or caregivers should ask their pediatricians about referring them to an ear, nose and throat (ENT) doctor, who specializes in the ear tube procedure. If it does come to getting the surgery, doctors say parents should be aware that the procedure involves general anesthetic, but is also generally an easy one to carry out. Speech Therapy in the Media – Helpful or Hurtful? Speech therapy in the media is rare. How often do you see an SLP on TV or in the movies? How about cartoons? It’s not often, though seeing a character with a speech or language deficit is more common (Daffy Duck, Elmer Fudd, Cindy Brady). 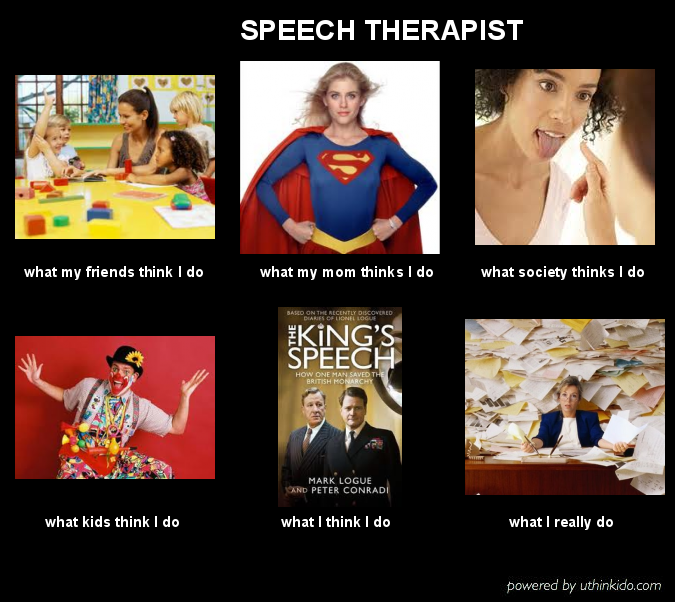 The media’s image of speech therapy can definitely have an influence on the patient’s expectations and perceptions of the profession. Take Aflac’s most recent commercial, for example, in which their iconic and loveable duck undergoes speech therapy. While its nice to have attention towards the profession, it begs the question, is this image helpful or hurtful? 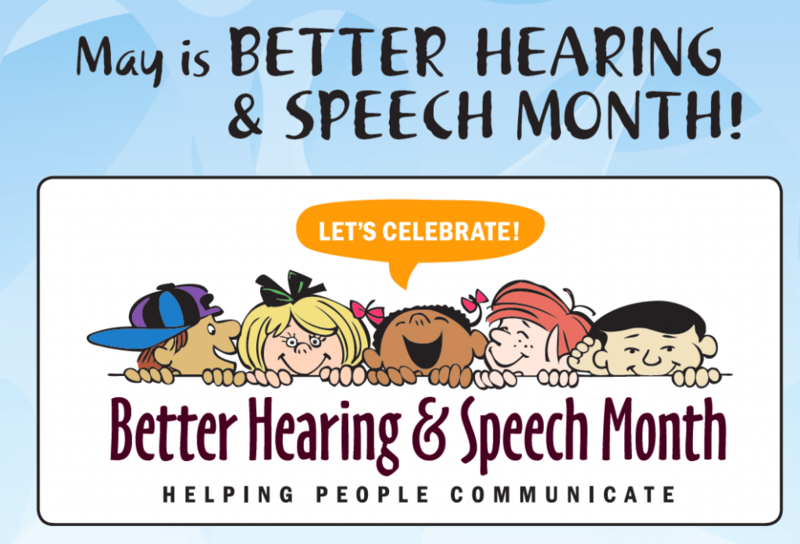 May might welcome spring flowers but it also ushers in Better Hearing and Speech Month. Every May for the past 75 years, speech pathologists and audiologists are tasked with advocacy and education. This is our time to get the word out! This month aims to raise awareness about communication disorders and promote treatment for those suffering from communication impairments. Gather your craft materials, color printers and social media to support communication disorders this month.